Why not escape the city before the winter really falls on us? 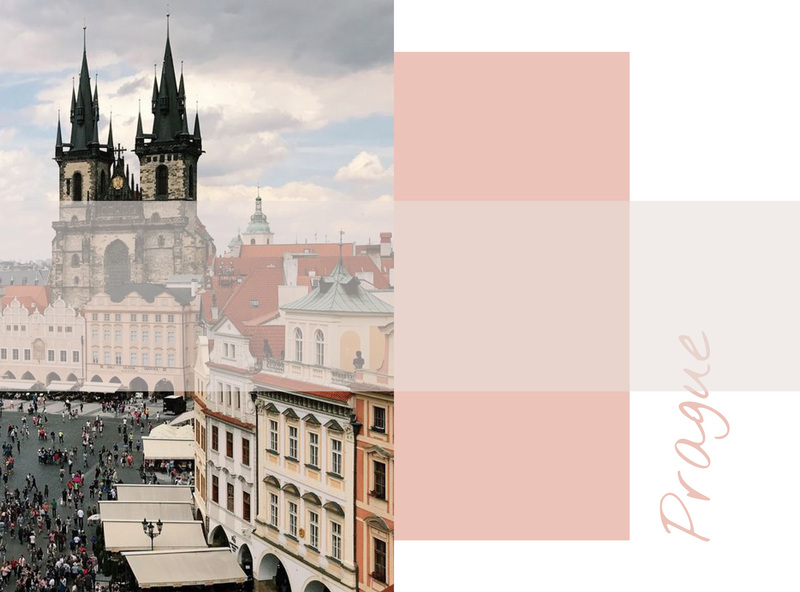 Since we (or at least us) live in central Europe, catching a train or a car ride is totally possible for a quick Friday to Sunday weekend away. 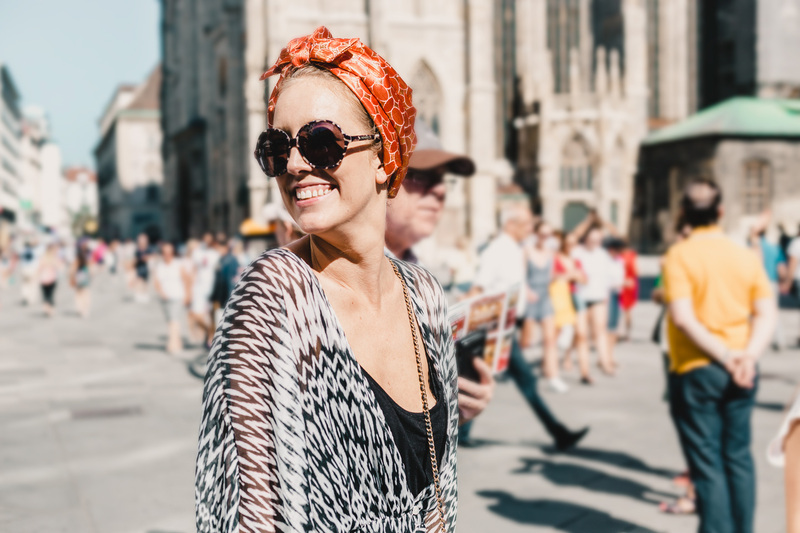 Even though palm trees and waves sound like a dream, September and October are ideal months to visit other cities that you might never have thought of visiting before. So as always, I asked the girls where they would head and here’s what they suggested – all of them children-friendly! Antonia would go to Prague. A beautiful little urban escape close to Vienna. A total classic. Perfect for a month like September when the nights get a bit chillier. Our recommendations would be to stay central, but walking away from touristic places throughout the day. Especially for food or drinks, locals will try their best for you to have the best experience of their country. Remember you will always hit the mark if you order a good glass of beer when in Prague. And btw…one of the best coffee spots is a very central coffeehouse in the middle of the old town: EMA Expresso Bar (Na Florenci 1420/3). This could be a good starting point for a day in Prague, don’t you think? Zeigerle: Is a traditional Austrian restaurant that is totally worth the trip. Their TOP dish according to Lilly would be their “Vorarlberger Kässpätzle”! Once you have enjoyed some of the incredible dishes, a walk by the lake would be ideal. I would totally escape to Budapest. A great city where a good night out is completely guaranteed. In fact, I was there a couple of weeks ago and it reminded me again of how great a city it is. This time I discovered new spots where to enjoy the sun coming down, thanks to some local friends. We walked from Buda to Pest (the two different sides of the city) and got to see how a lot of people meet on the bridge and “slightly illegally” climb on the bridge’s structure with a good bottle of Vino to enjoy the sun setting down. The name of the bridge is Szabadság Híd, just in case, you would like to witness this phenomenon when in Budapest for a weekend. On Sunday, we had brunch at Kollázs – a Brasserie & Bar at the Four Season Hotel Gresham Palace, even though, this is only available on Sundays from 12 until 3 pm. This brunch was out of this world, an “all you can eat” version of anything you can imagine from, Beef Tartare, to pancakes, salmon in every form and state, salads, meats and many other delicacies. Maybe you should also know that Kollázs has an incredible night bar, too, perfect for some pre-drinks before going out. High Note Sky Bar was the place we chose for a late afternoon snack – Also very recommendable when in Budapest! Tati would totally stay in Austria. Just two hours away from Vienna, Graz is one of the most visited Austrian cities. 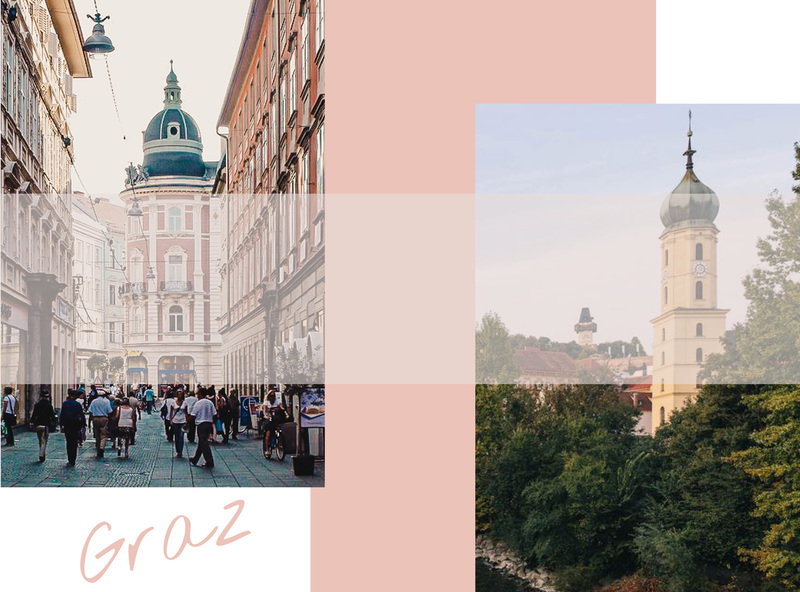 Graz is a real fairytale for people coming from big capitals where big blocks and buildings of cement are their daily normal. Famous for its young vibes, thanks to students from all over the world and the nightlife. Graz also has a great artistic and design movement that attracts many. Like for example the Artothek Steiermark – this will be its 3rd showing, and it literally allows private people to borrow original art pieces for up to 8 months. It will be open at Studio (Burgring 18) until December. 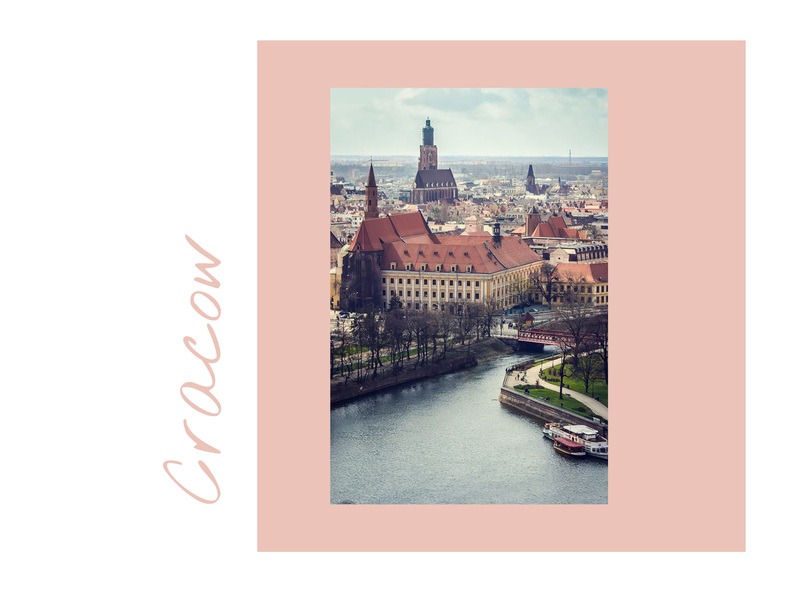 Carolin would travel a little longer to visit Krakow. People in Poland make the best out of the Christmas time and go crazy with their decorations in the “Rynek Glowny” market. However, the city is very interesting and small enough to make it all by feet (if walking is your thing…!) during any time of year. Obviously, you can’t leave the city without trying the typical Polish dumplings, “pierogis” or their typical “Barszcz soup” (Borschtsch in English just in case the Polish word sounded even more unpronounceable…). When looking for accommodation, try looking for a place to stay in the “Kazimierz” district. It is a central area that is not full of tourists and allows you to enjoy a small taste of “the real Poland”. Im Sommer träumen wir von Palmen und Wellenrauschen. Was tun, wenn er nun doch zu Ende geht? Sommer vorbei, alles vorbei? Nein! Denn September und Oktober laden zu spannenden Kurzreisen in benachbarte Städte ein. Ob Prag oder Bregenz, ob Graz oder Budapest: Sie alle sind einen Besuch wert. Fangen wir an mit Prag (291 km von Wien entfernt): Prag hat Stil und Eleganz. Das Essen ist gut, die Getränke ebenfalls. Leider ist Prag recht überlaufen, und man sollte touristische Höhepunkte untertags besser meiden. Aber in jedem Falle im Zentrum Quartier nehmen. Und wer einen exzellenten Kaffee sucht: Nun, der geht zur EMA Espresso Bar, mitten in der Altstadt. Ganz anders sieht Bregenz aus (619 km). 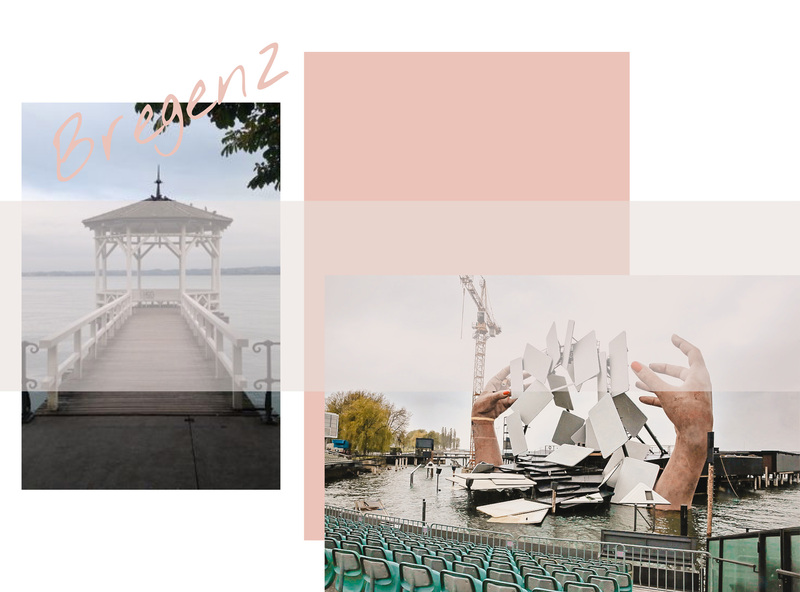 Herrlich gelegen zwischen Bodensee und den Bergen, fällt Bregenz auf durch die vielen Spielplätze – ein Himmel auf Erden für Kinder. Sehr zu empfehlen ist das Restaurant Zeigerle; die Vorarlberger Kässpätzle sind köstlich. Unbedingt empfehlenswert ist Budapest (243 km) – nicht nur wegen des Nachtlebens. Wer einen tollen Sonnenuntergang erleben will, der gehe zur Szabadság Híd Brücke. Sie verbindet die beiden Stadtteile Buda und Pest, und auf ihr trifft man sich, um – vielleicht auch mit einem Gläschen Wein bewaffnet – die Sonne versinken zu sehen. Am Sonntag gehe zum Brunch zum Kollász, die Brasserie-Bar des Four Seasons Hotels Gresham Palace (nur offen 12-15h); es erwartet dich eine geradezu gigantische Auswahl feinster Leckereien. Für einen kleinen Snack am Nachmittag empfehlen wir die High Note Sky Bar. Für uns, die wir aus einer grossen, dicht bebauten Stadt kommen, ist Graz (199 km) wie ein Märchenidyll. Graz ist mit ihren Studenten aus aller Welt eine ausgesprochen junge Stadt, mit viel Schwung und Entertainment. Auch ist Graz eine eigentliche Hochburg von Kunst und Design. Und wer sich für max. acht Monate ein echtes Bild oder ein anderes Kunstwerk ausleihen möchte: In der Artothek Steiermark (Burgring 18) ist das möglich. Zum Schluss Krakau (464 km): Krakau ist die Stadt der kurzen Wege – alles lässt sich schnell und einfach zu Fuss erreichen. Aus der heimischen Küche nicht zu verpassen sind die polnischen Knödel, “pierogis” genannt, genauso wenig wie die typische “Barszcz” (Borschtsch) Suppe. Wohnen sollte man im “Kazimierz” Bezirk – zentral gelegen und doch nicht von Touristen überlaufen; sozusagen noch ein bisschen das “wahre Polen”.